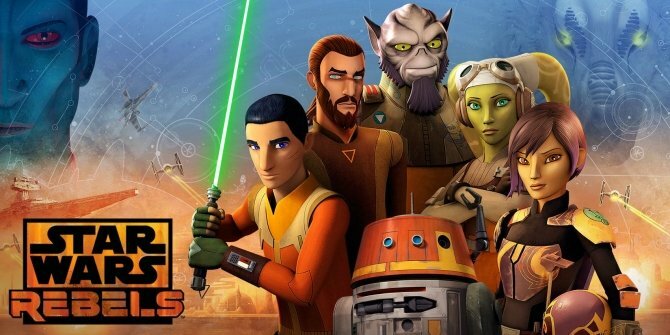 Star Wars Rebels wrapped up its fourth and final season early last month and delivered an exciting and emotional last episode. While it certainly provided a satisfying conclusion to the beloved animated series, it also teased some fascinating ways that the characters’ stories could be continued in future shows set in that galaxy far, far away. For one, Mandalorian Sabine Wren ended the series embarking on a new mission. The final moments of the last episode revealed that she remained on Lothal for the entirety of the events of the Original Trilogy, standing guard in case the Empire decided to stage another attack against the planet. However, the expected invasion never happened and so, once the galaxy was saved by the Rebel Alliance, she left Lothal with Ahsoka Tano to find their friend, Ezra Bridger, one of the last Jedi. While we haven’t heard any rumbling of a spinoff show focusing on Ahsoka and Sabine’s journey, we do have an idea of what the next Star Wars animated series might be about. Lucasfilm have trademarked the name Star Wars: Resistance, which has led fans to believe that the follow-up to Rebels will be set in the run-up to the Sequel Trilogy. It’s certainly possible, then, that the two women continue to look for Ezra while the rest of the Resistance hunts for Luke Skywalker. It’s still early days and we likely won’t find out any concrete details about Resistance for some time, but while we wait to learn more, tell us, what would you like to see in the animated series that follows Star Wars Rebels? Have your say in the comments section down below!